A while back, I had booked a trip to Las Vegas, to coincide with the week that our bathroom as being renovated. Justine was going to be away for work that week, so it seemed like a good opportunity to work from a hotel room, have some fun and enjoy one of my favourite places. As it turned out, I ended up with the entire week free, as I was laid off from my job on the Monday morning, right before I was schedule to get on a plane. Lots of fun really... the next few months are going to be interesting. There was no point in getting all worked up over it (it wasn’t like I hadn’t seen this coming...), so I wanted to try and enjoy myself. I was staying at Treasure Island, and by the time I got into town, it was already dark, and my room provided a fabulous view of the strip. The Venetian, all decked out for Christmas festivities. 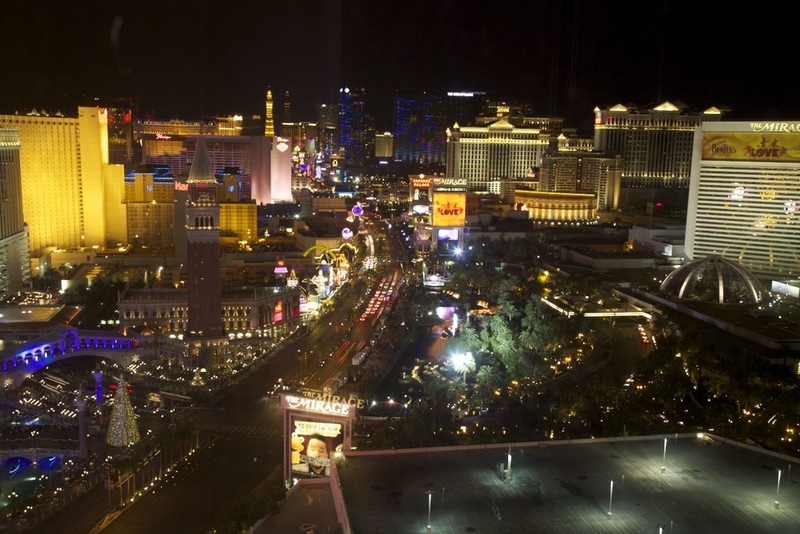 The strip at night from my hotel room. 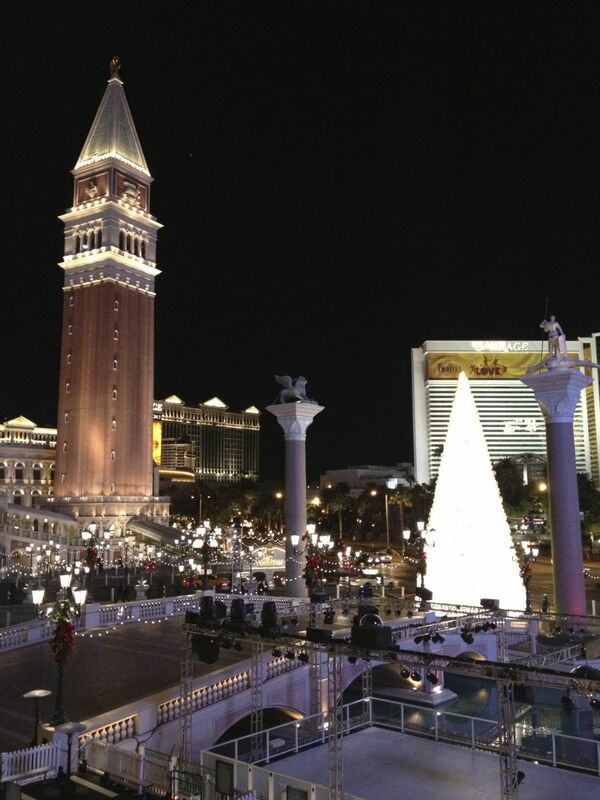 Monday night I headed out, checked out the Christmas decorations along the strip, and played a bit of poker. It wasn’t too late a night, but i enjoyed myself quite thoroughly. Tuesday I did some Christmas shopping (I was way behind on that!) 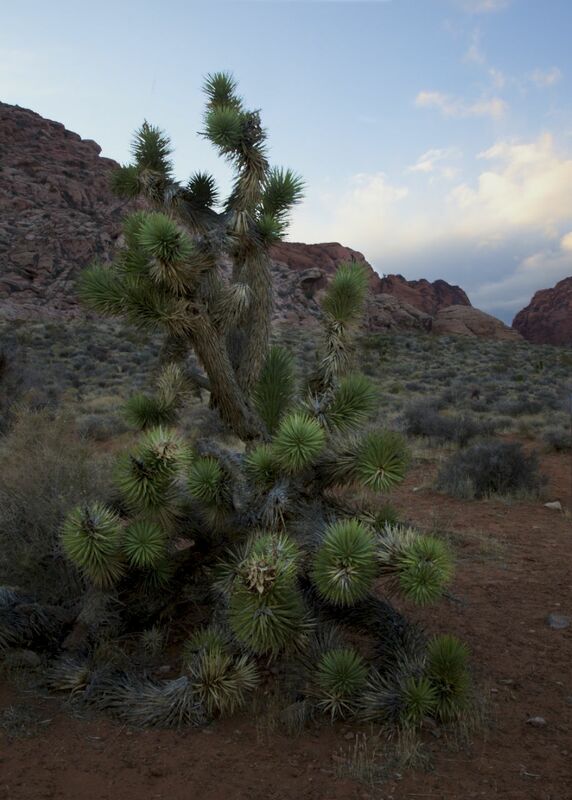 in the morning, then in the afternoon I headed out to Red Rock Canyon, to check it out and take some pictures. 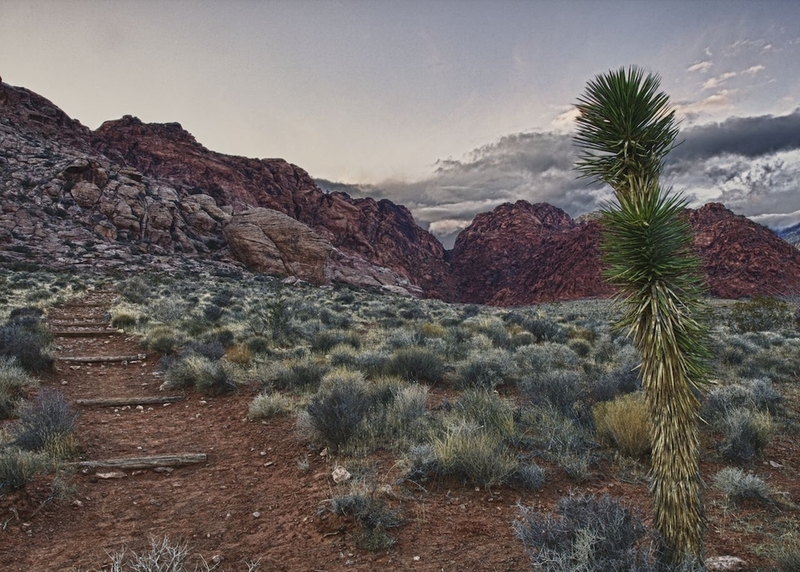 Red Rock Canyon is out past the northwest edge of the city limits, and has a scenic drive, along with lots of hiking and rock climbing opportunities. I’ve been meaning to get out to see the place, but never made it before this week. 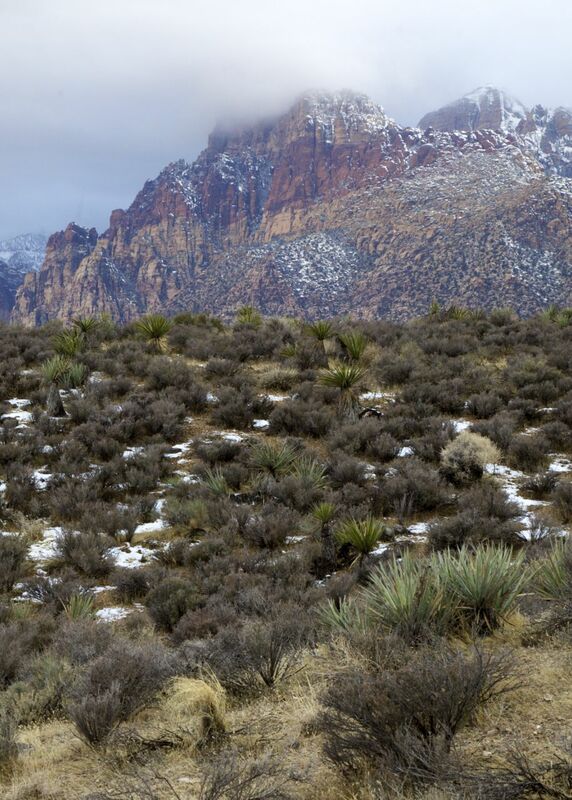 It had been cold in Vegas for the past couple of weeks, and there was still some snow in the desert, which I think is very cool to see. I did the drive, checking out the various photo opps; I had hoped for a good sunset, but the clouds started to roll in as the sun set, so i was a bit out of luck. Still, the area was s beautiful, I decided to come back the net morning and o some hiking. I had picked up a small hiking guide book in the gift shop on Tuesday night, and had decided on a shortish hike for Wednesday morning. Nothing too crazy as I was by myself, but it sounded nice. I got started a little later than I would have liked, but was still at the trail head by about 8:30. It was cold getting started, as the sun was mostly behind the mountains. The trail was pretty easy, and the views were pretty awesome. There were lots of very skittish birds, that I kept trying to get pictures of, mostly without success. 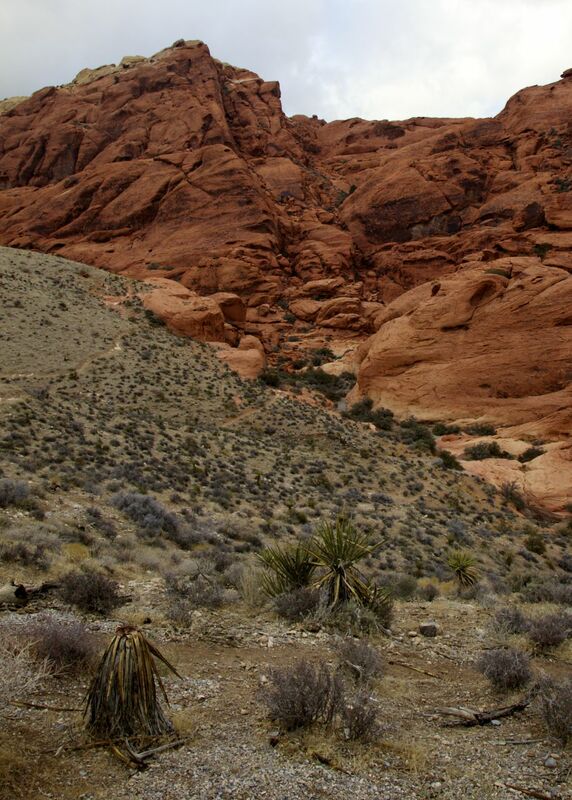 The trail gradually climbed through some of the low hills, and worked it’s way up to a spring and small stream. That was my turn around point, a little more than an hour into the hike. The way back was mostly downhill, and a easier than the way up. 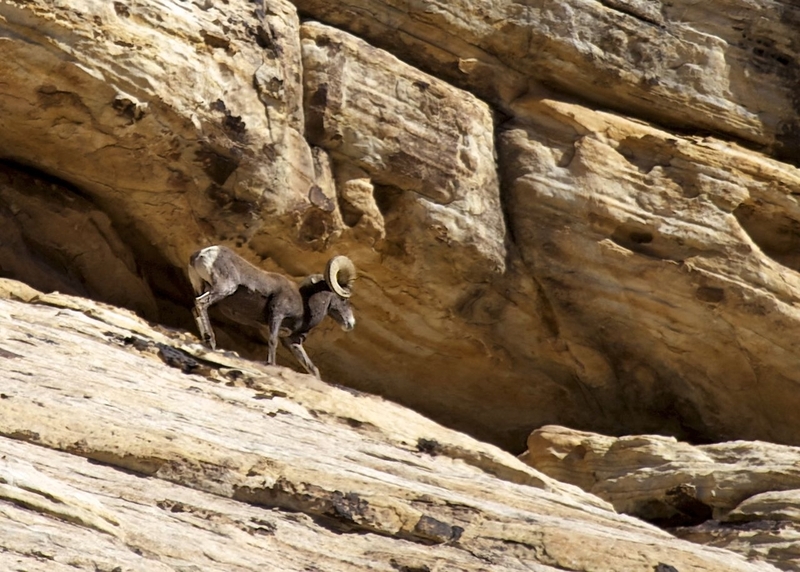 One of the reasons I picked this hike was the book mentioned that it was one of the best places in the park to see desert bighorn sheep. On the hike I had seen hoof prints in the snow (along with cougar tracks), so I knew the sheep were there. 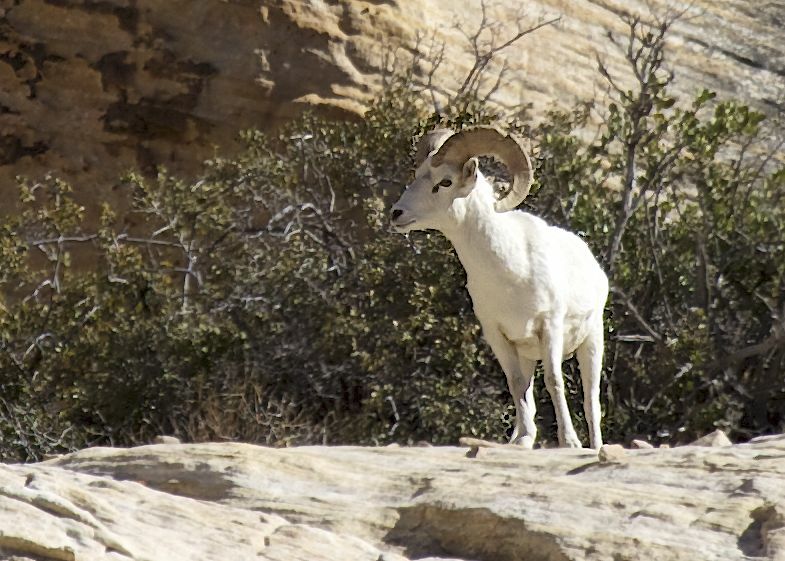 About 10 minutes from the parking lot, some motion caught my eye way up on the side of the hill - it was a small herd (I think a total of seven animals) of desert bighorns! They were definitely the highlight of the trip, even through they were rally far away.